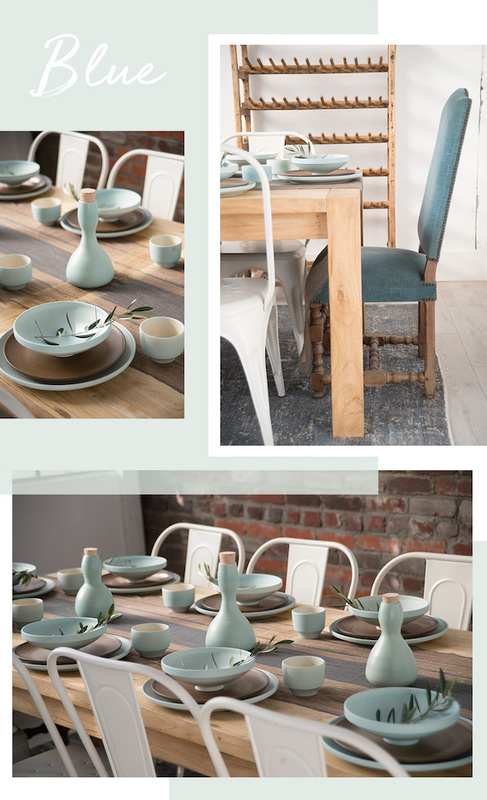 Our dear friends from Jered’s Pottery helped us set the perfect Thanksgiving Table… 3 different ways. 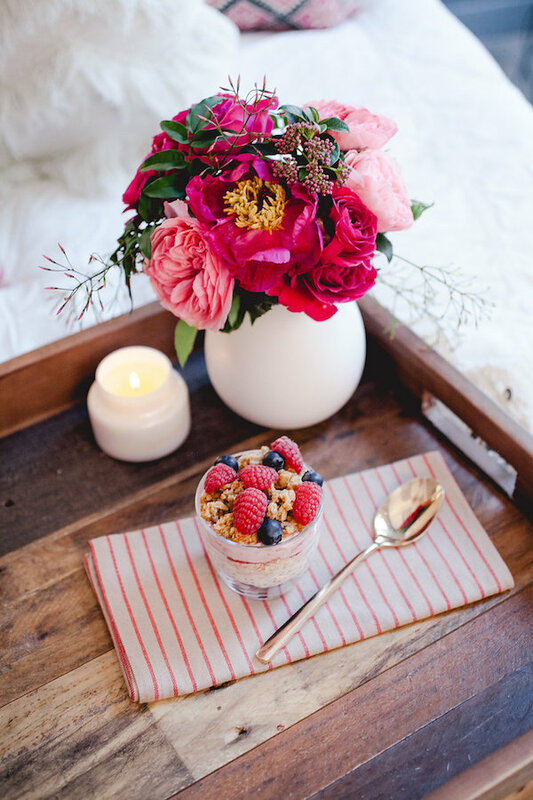 It’s never too early to start planning a special day for your sweetie. 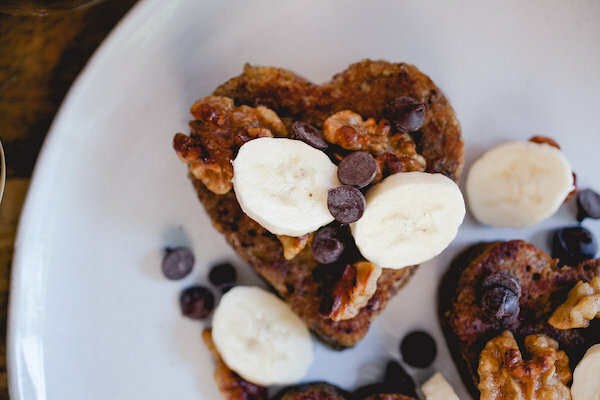 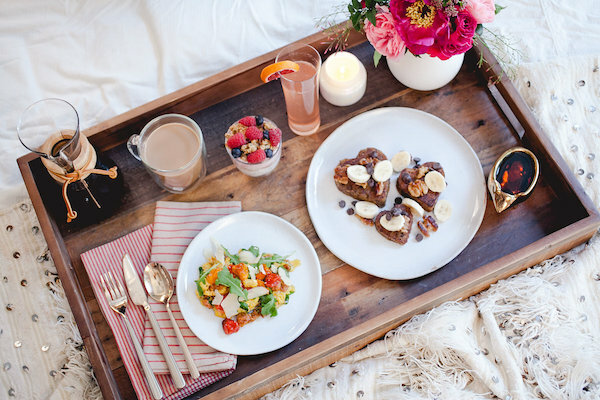 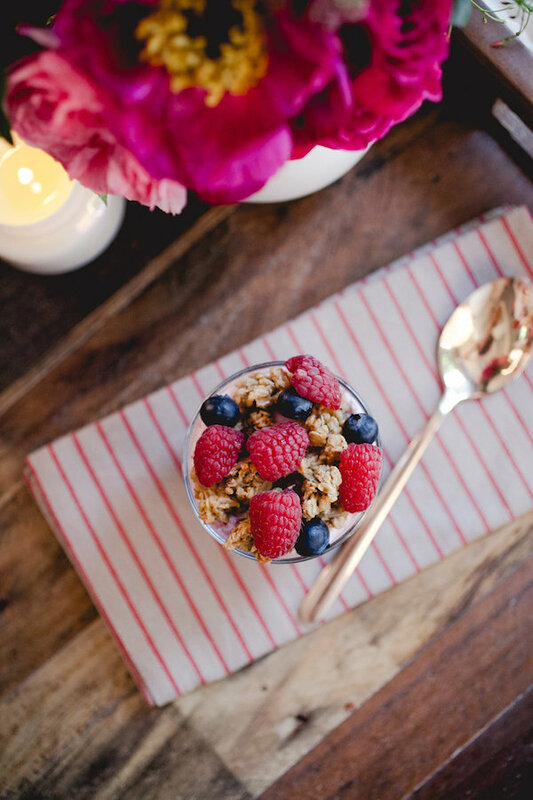 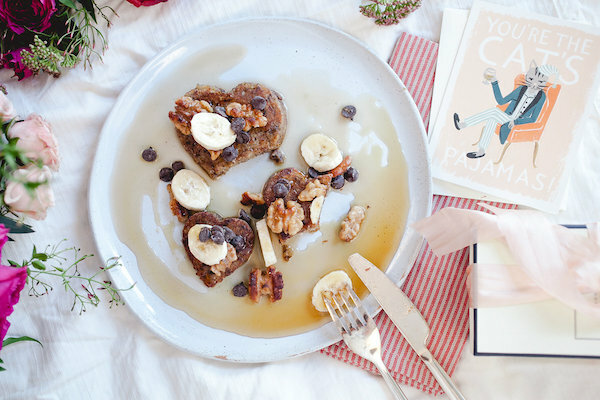 Valentine’s day is just a month away and we have the perfect breakfast in bed setup. 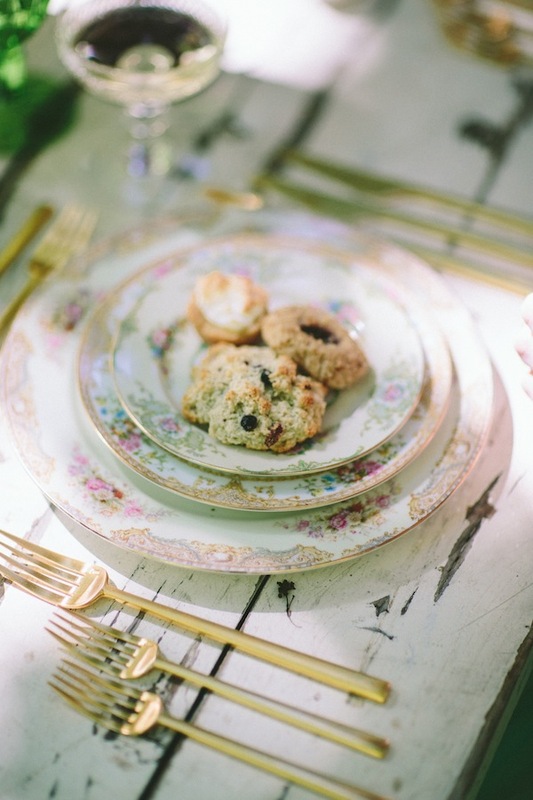 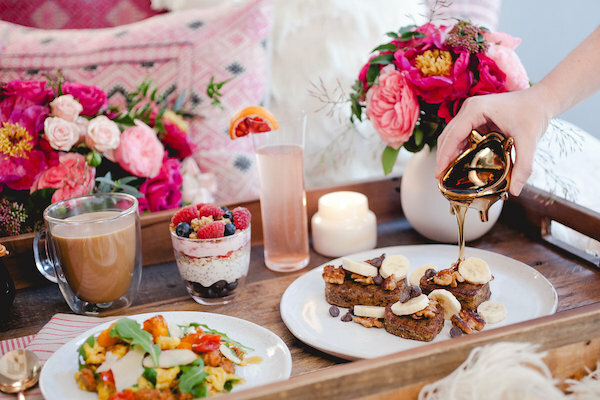 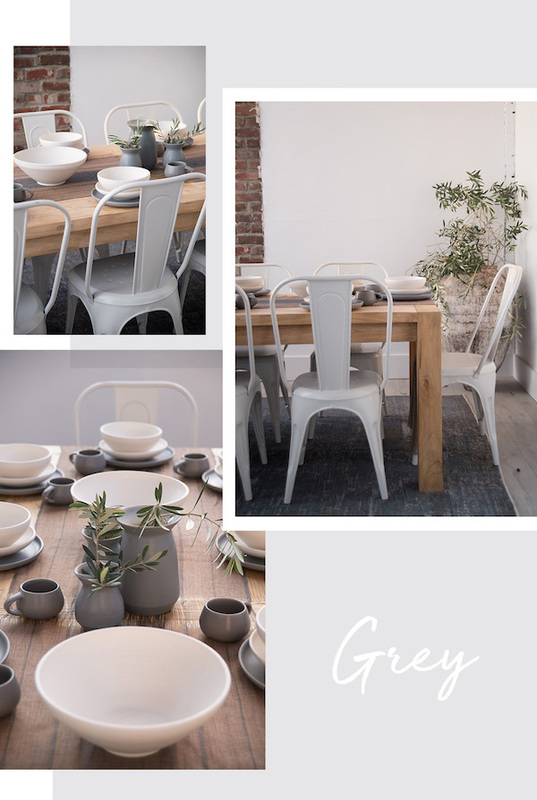 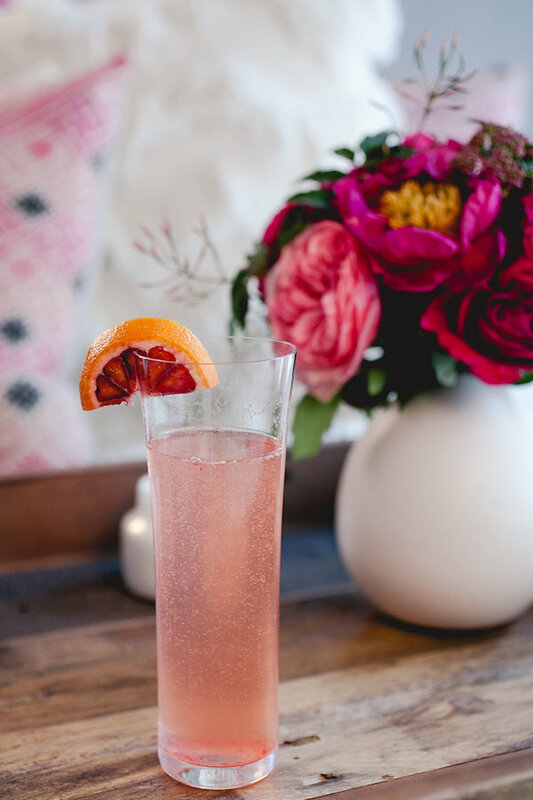 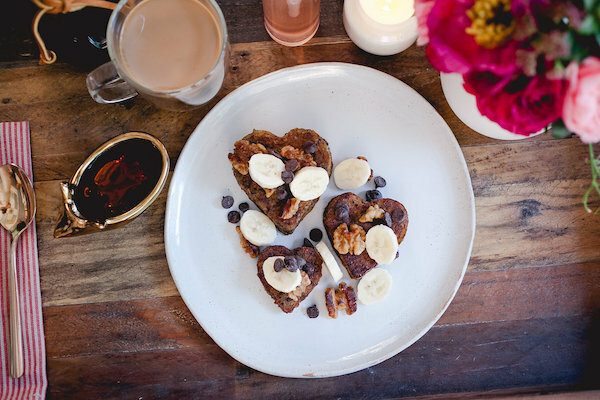 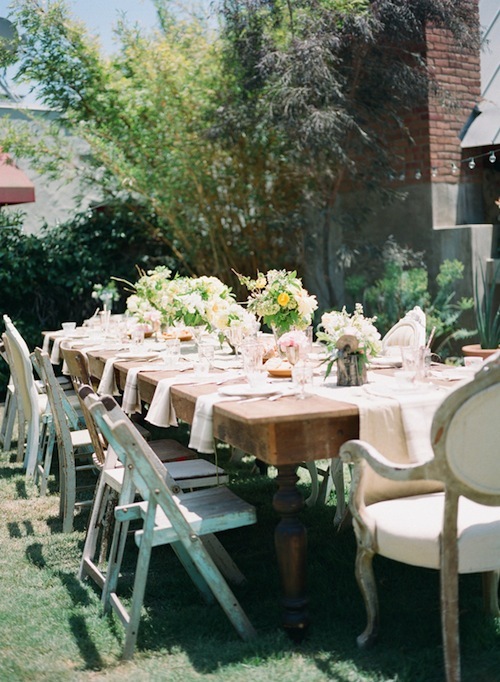 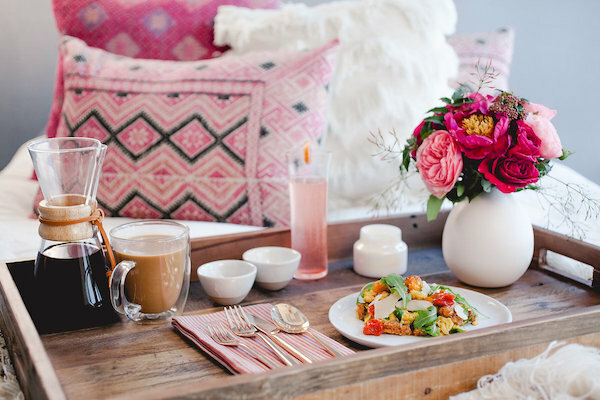 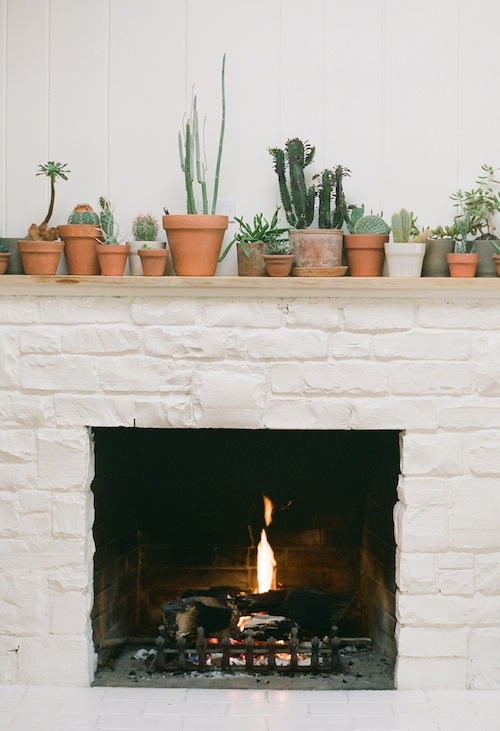 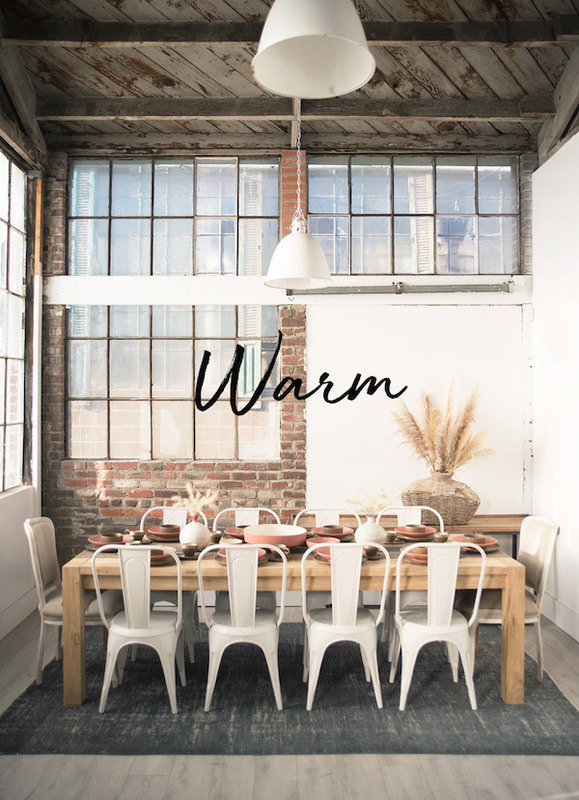 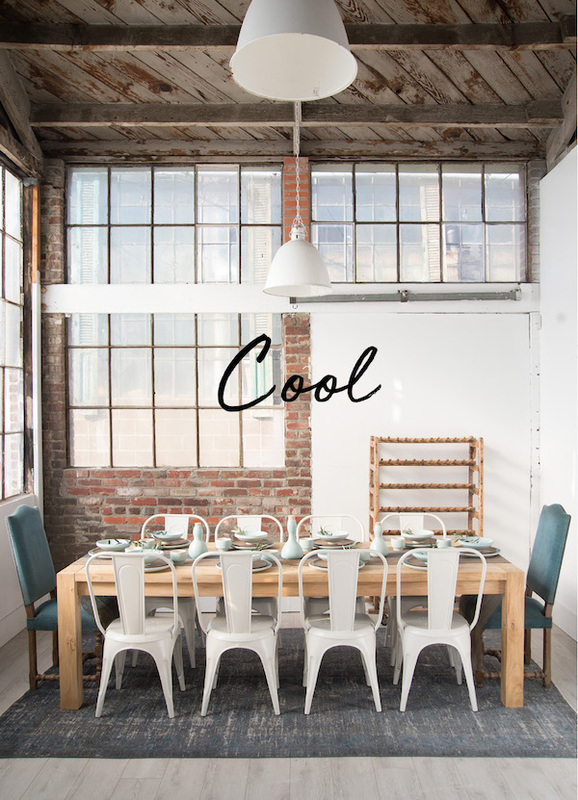 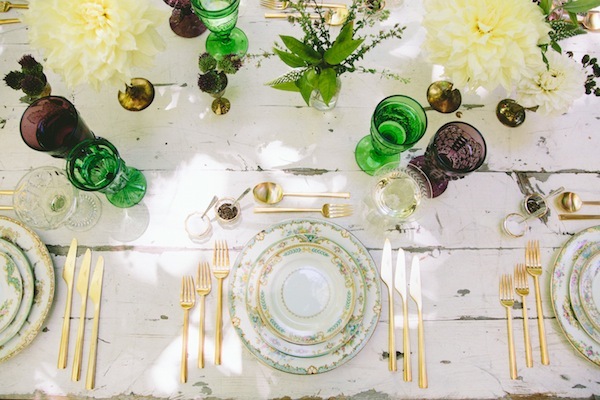 Just take a look at Marble Rye‘s gorgeous photos for Whitney Port and tell us if you’re not feeling inspired! 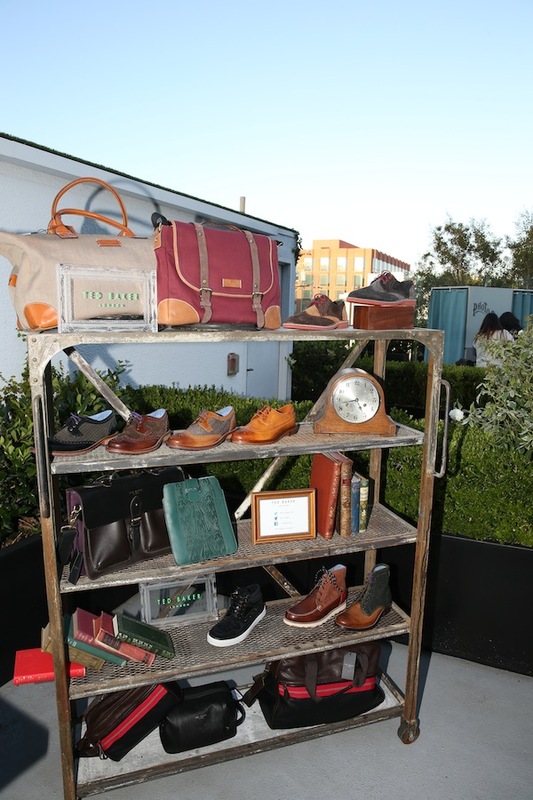 Need props and displays for your upcoming pop up shop or trade show ? 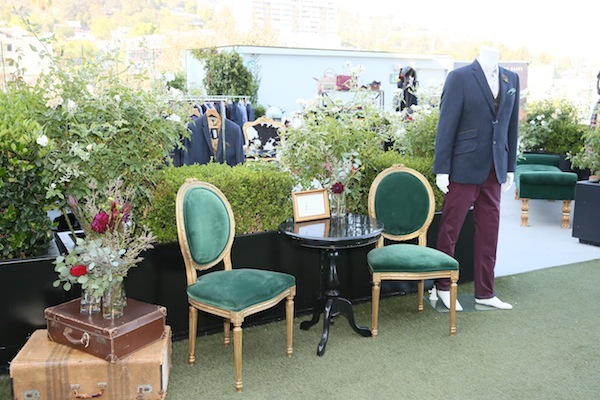 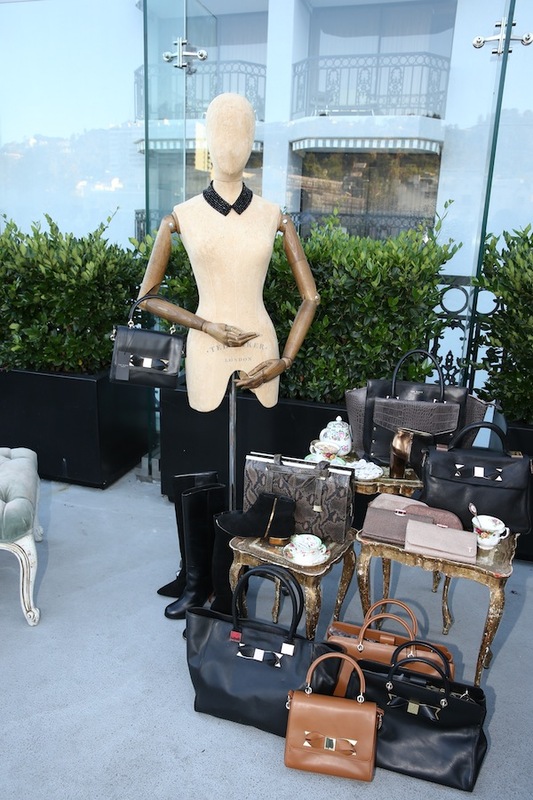 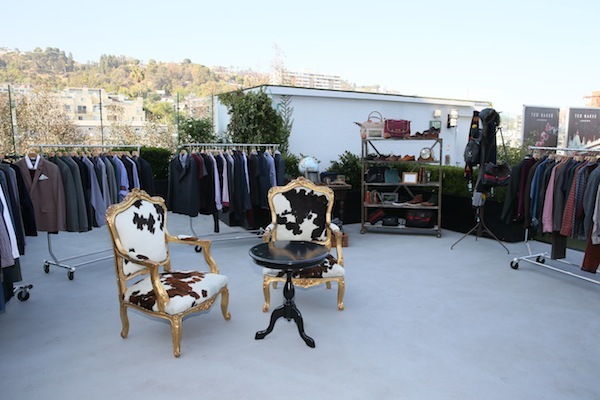 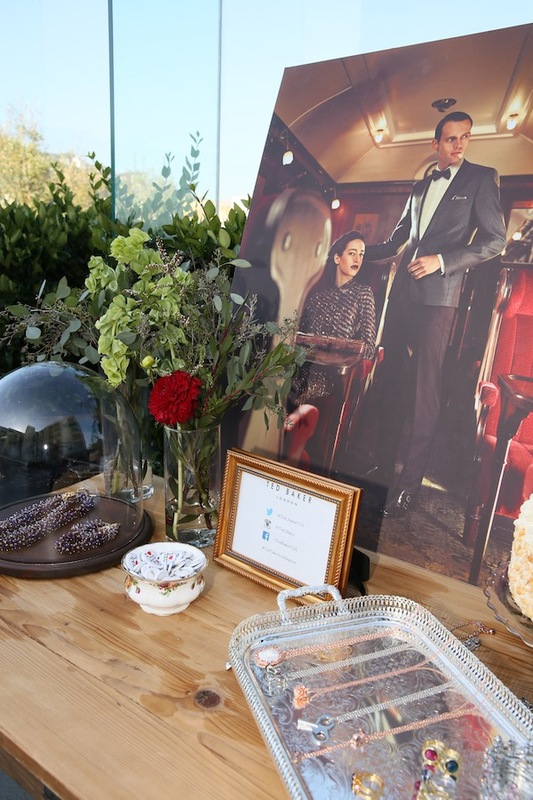 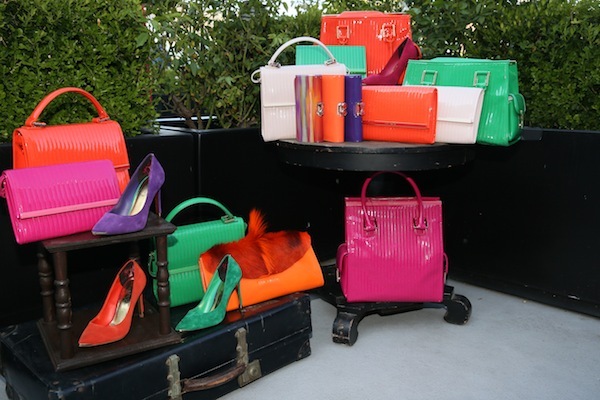 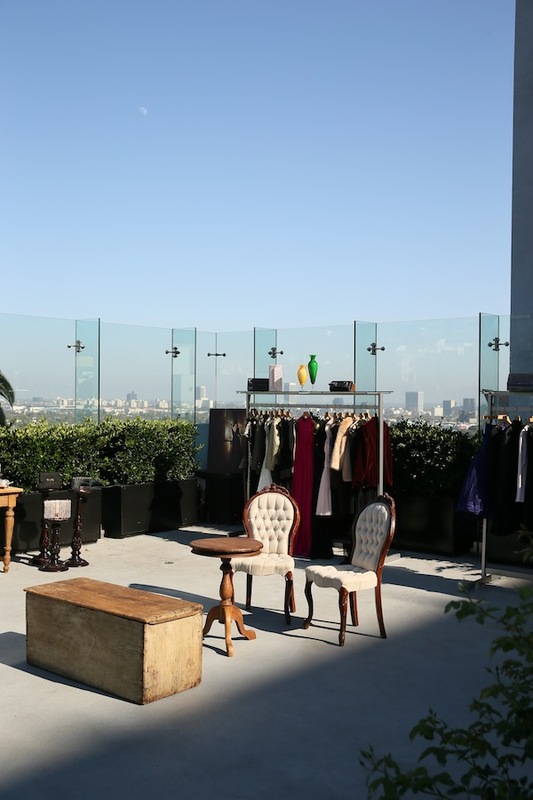 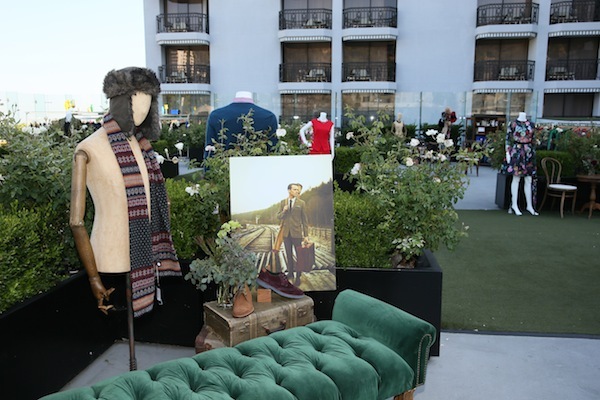 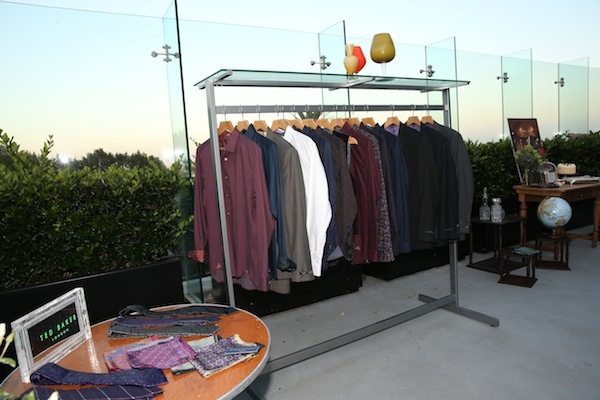 Take some inspiration from this Ted Baker fashion event atop the London Hotel! 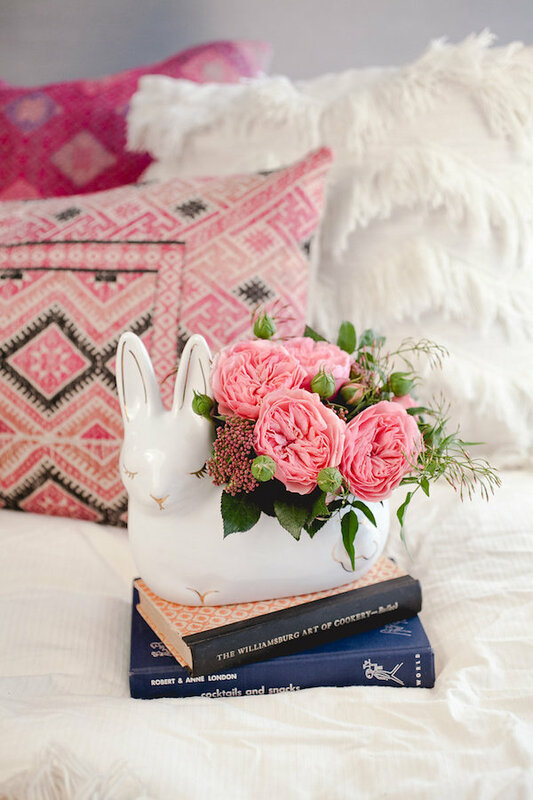 Create decorated vignettes with upholstered pieces and side tables. 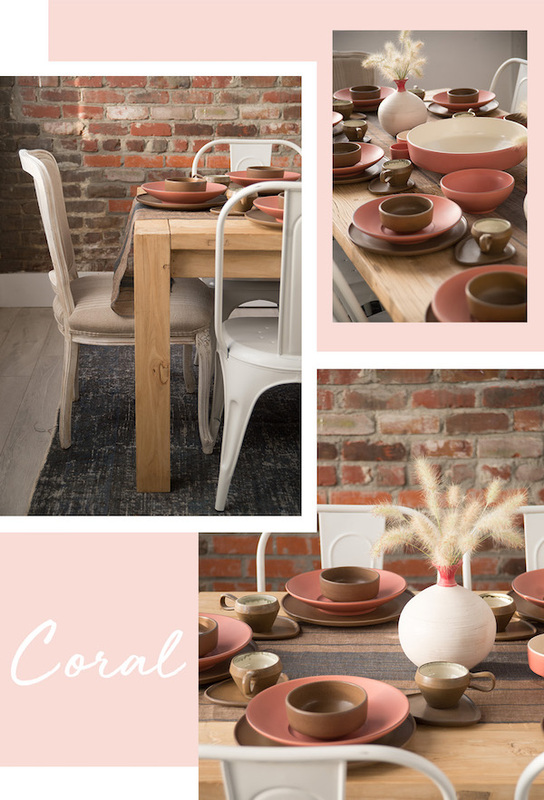 Our petit & grande details can complete the look. 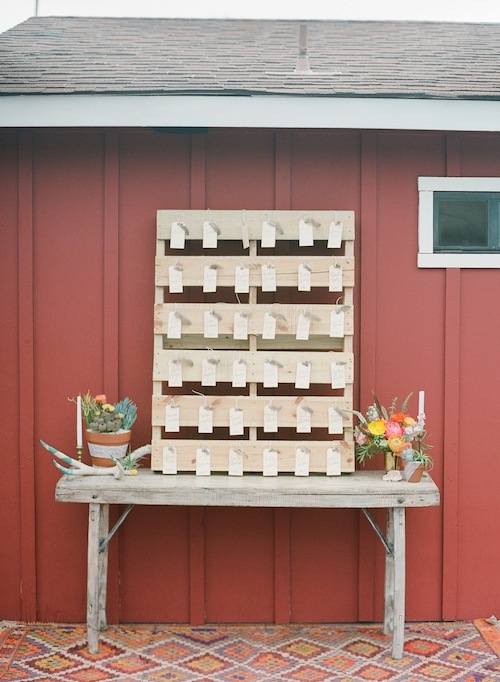 Our industrial shelving makes for a wonderful display piece! 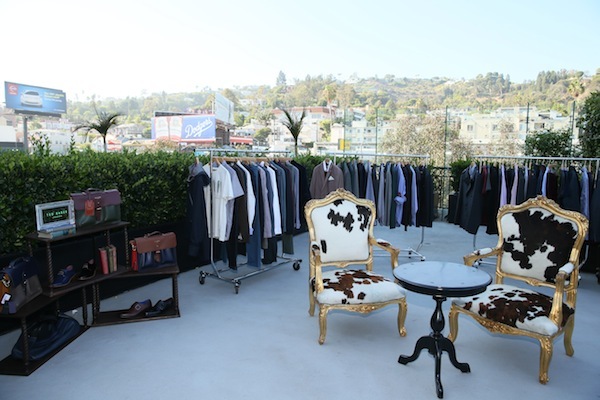 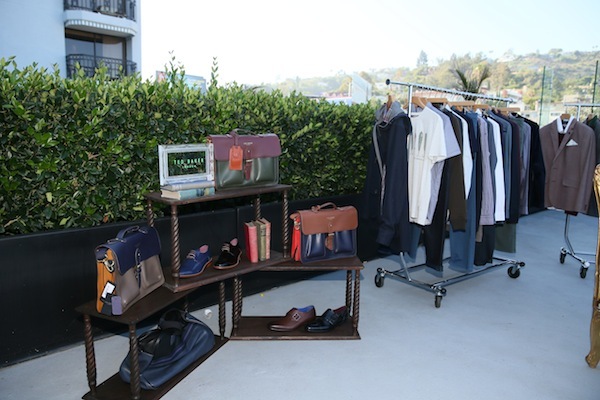 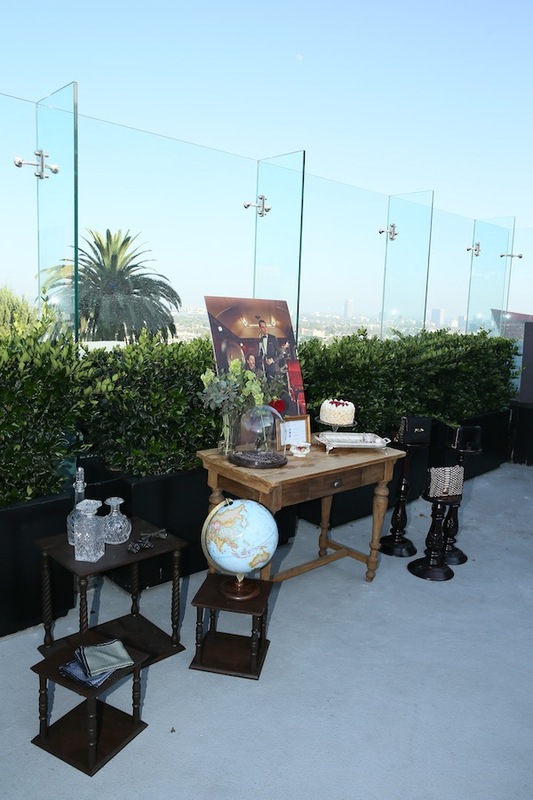 The Found Pieces displayed throughout the Ted Baker Event are the Jade Emerald Chair, Rosa Beige Chair, Brett Upholstered Bentwood Chair, Hart Table, Jennings Table, Nate Black Side Table, Cassidy Side Table, Crusoe Black Table, Patrick Gold Nesting Tables, Leslie Seafoam Ottoman, Riley Upholstered Ottoman, Brent Upholstered Ottoman, Esmeralda Ottoman, Sampson Ottoman, Brooks Cream Trunk, Salem Wooden Trunk, Nixon Industrial Shelf, Davies Cabinet, Fleetwood Coat Rack, Crosby Coat Rack, Tate Leather Suitcase, Schrock Brown Suitcase, Oakwood Leather Suitcase, Dwight Leather Suitcase, Bradford Suitcase, Lynnhaven Beige Suitcase, Wilson Suitcase, and the Marvin Striped Suitcase. 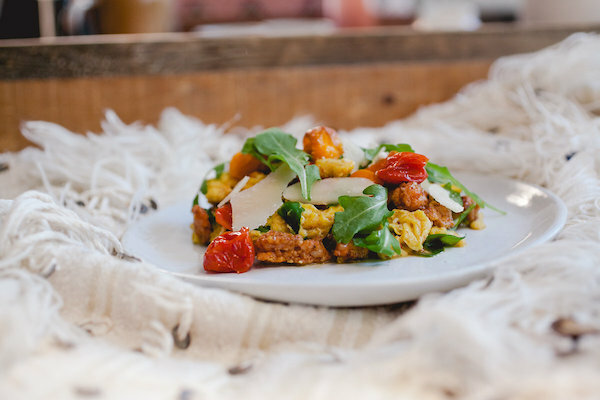 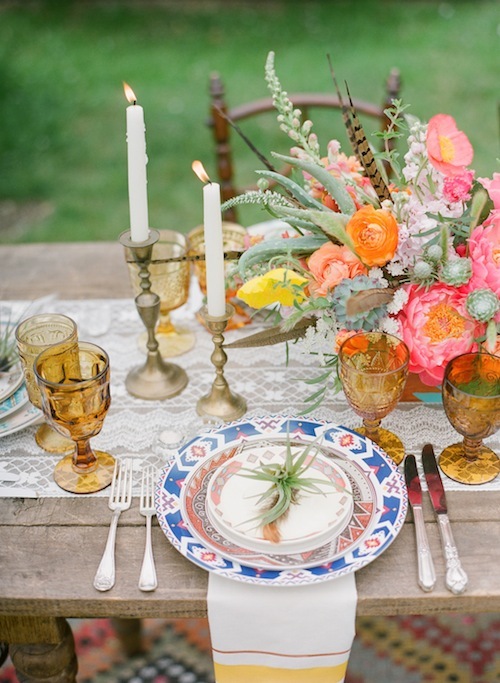 I always love sharing a beautiful collaboration with Casa De Perrin. 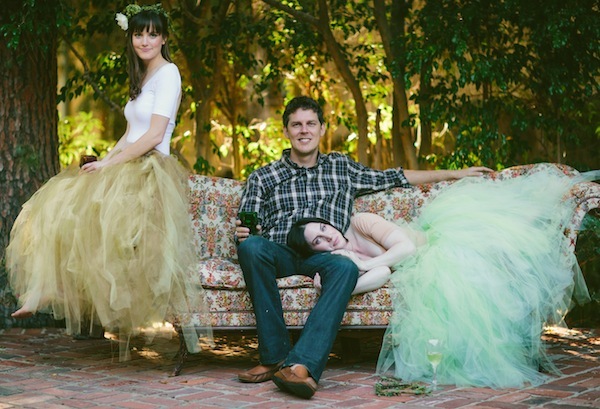 I’m so lucky to work alongside such a talented team and also get to call them friends. 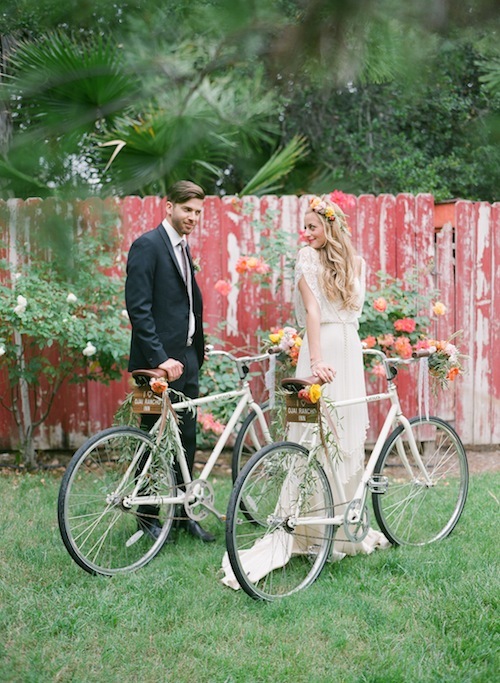 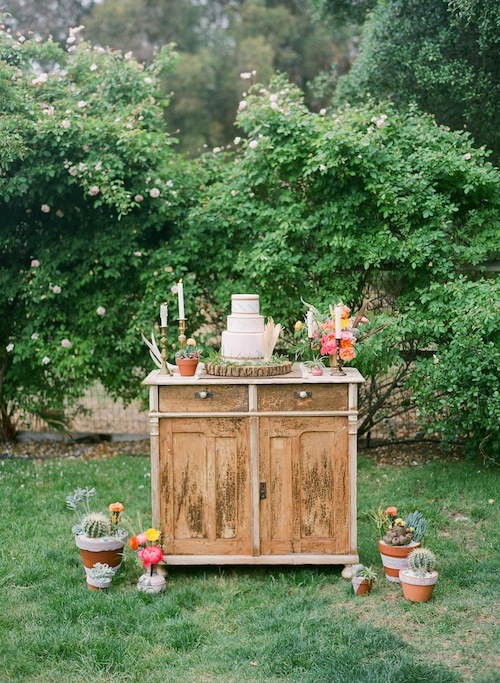 Josh and Dianna Perrin have an amazing and unique collection that you just get a glimpse of in this inspired shoot. 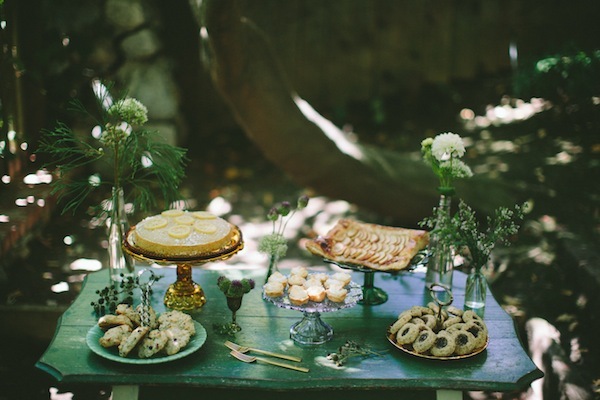 I adore the woodland wonderland they created – their favorite pieces from Found that they incorporated. 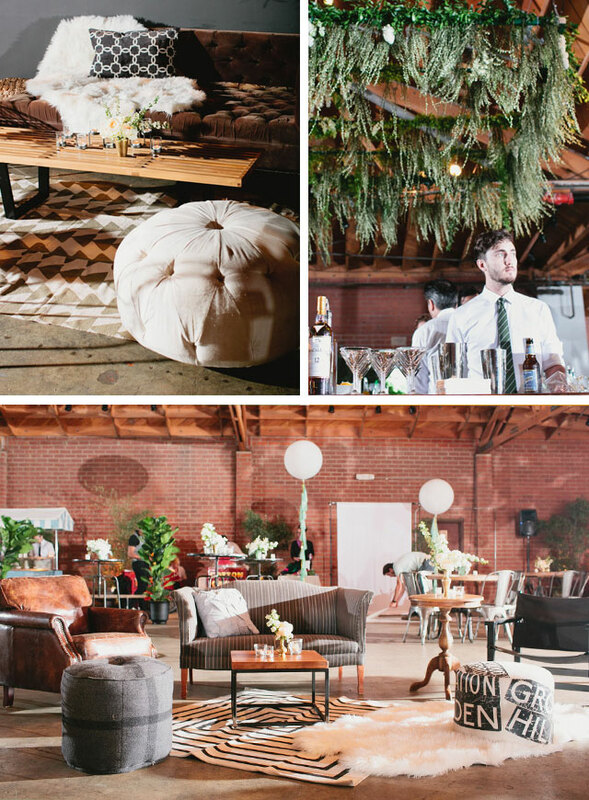 Check out the awesome team and look they put together for this shoot. 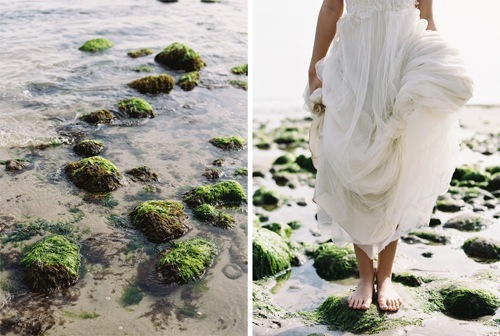 Check out more on Green Wedding Shoes! 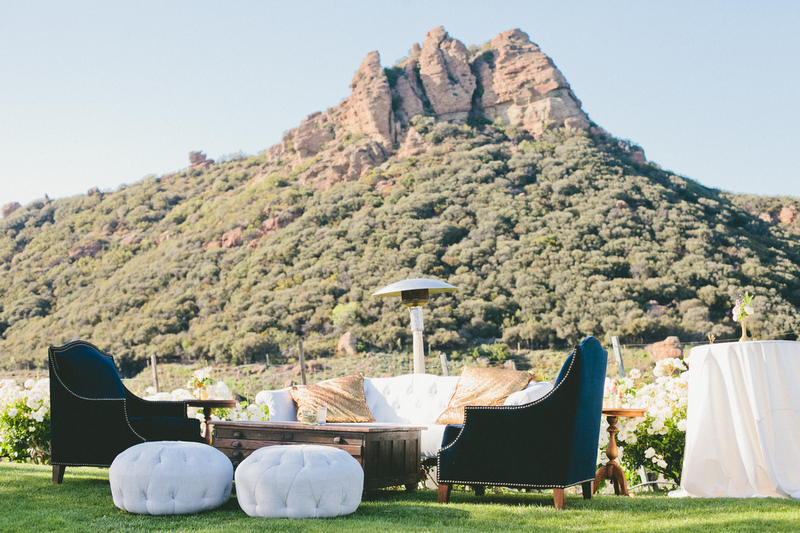 As we head into fall, here is a little throwback to a few of our favorite events from this summer. 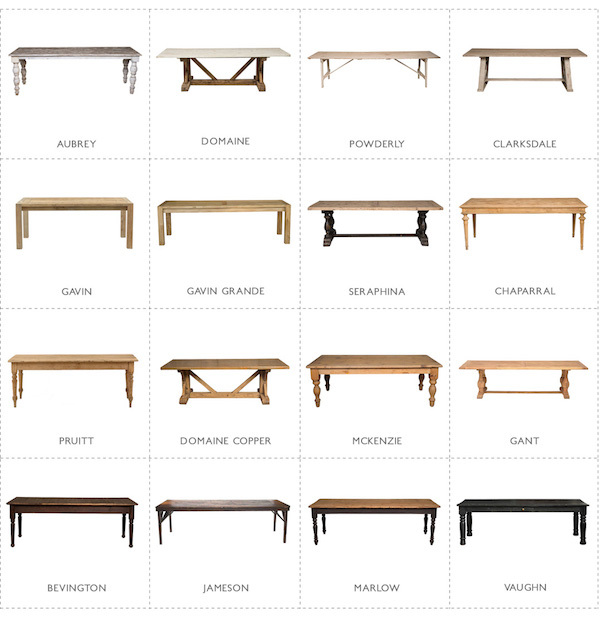 Enjoy a little reminiscing with us! 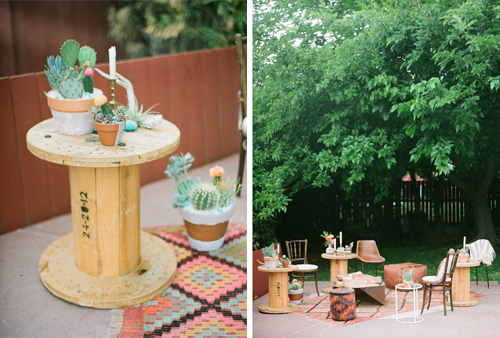 This bold and tropical inspired shoot in Rue Magazine was a dream collaboration shot by Caroline Tran! 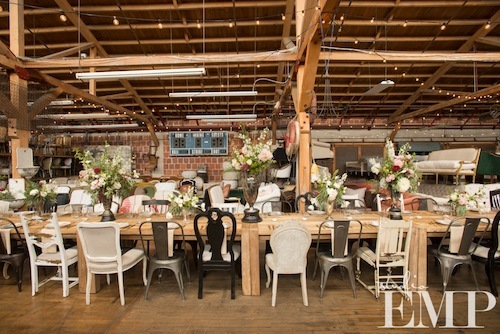 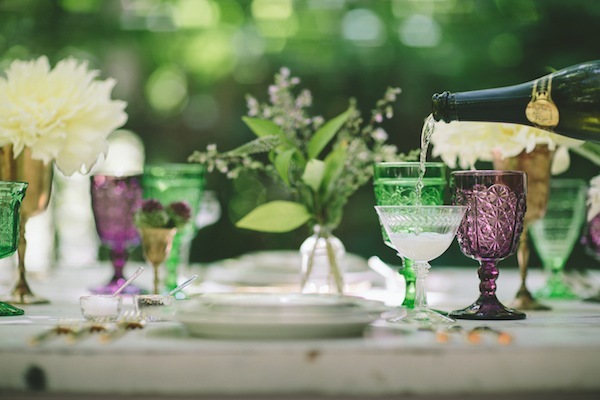 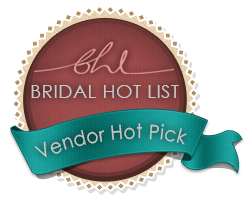 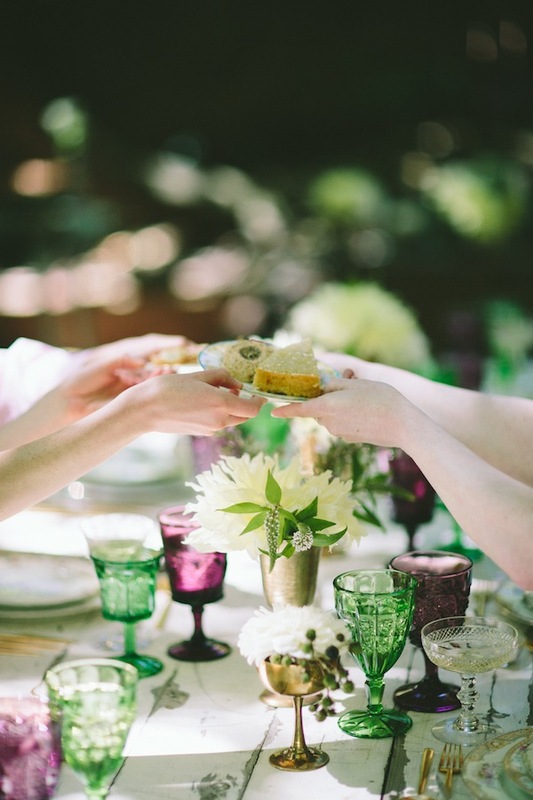 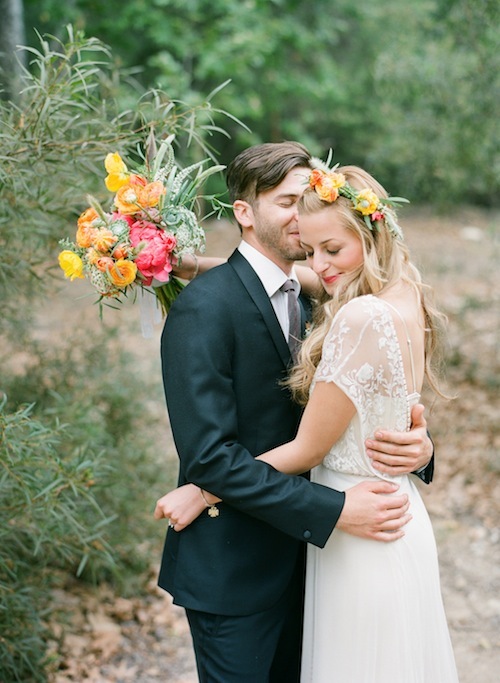 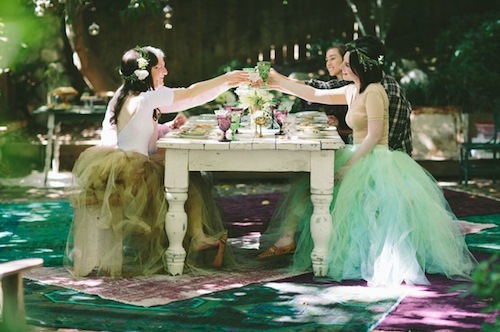 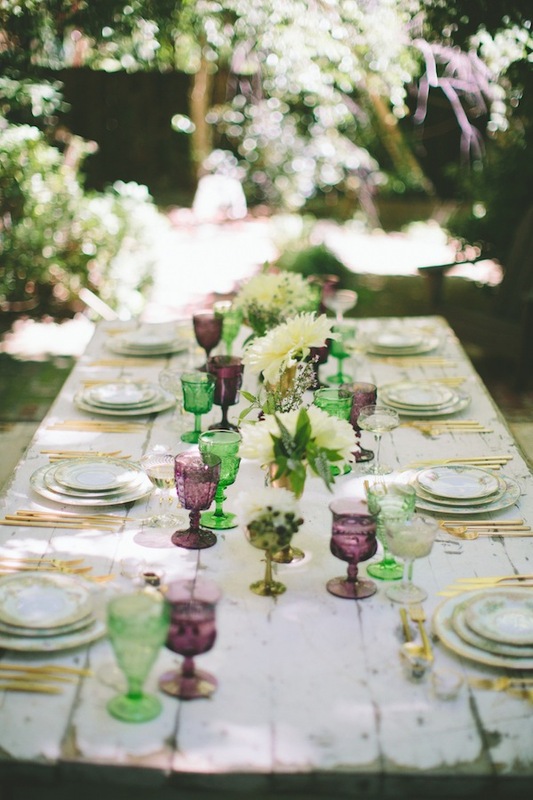 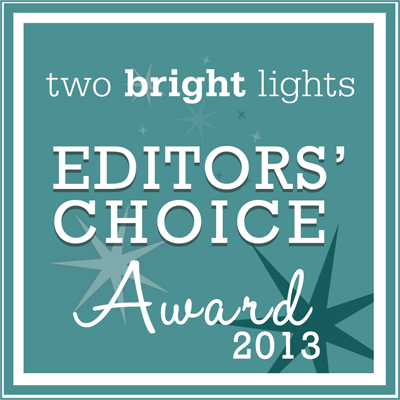 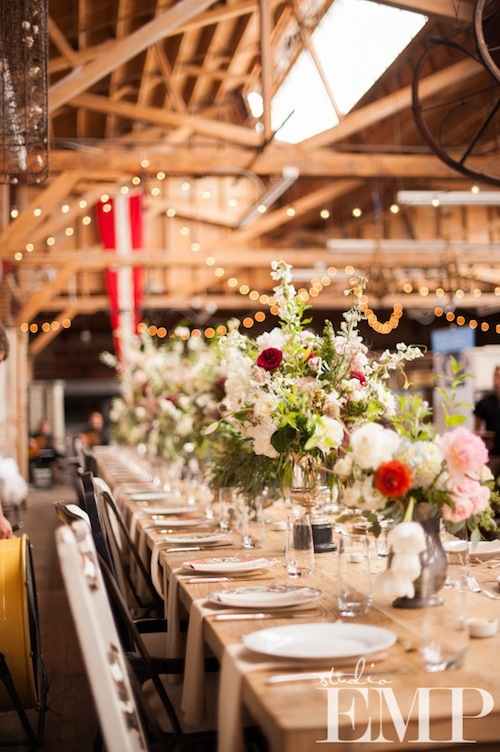 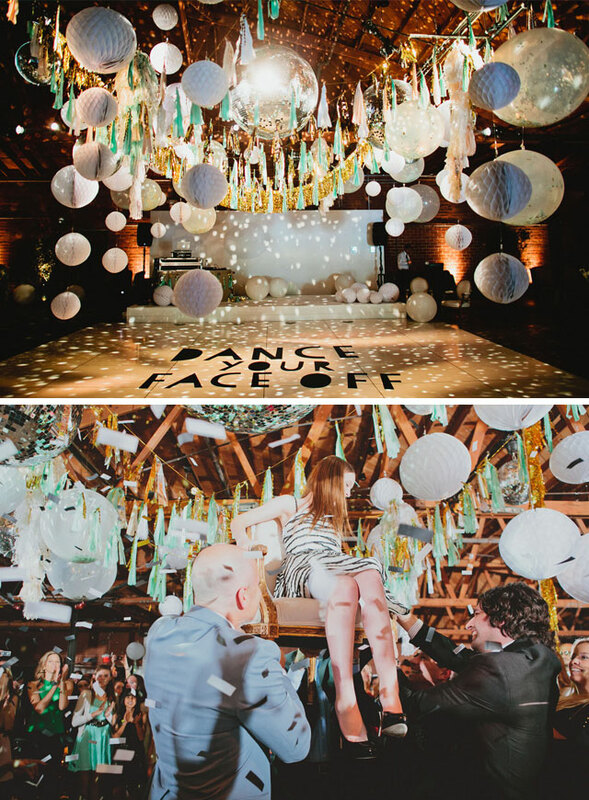 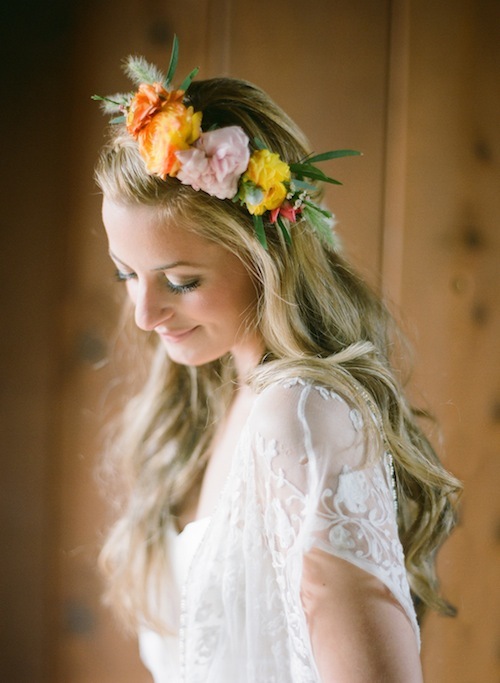 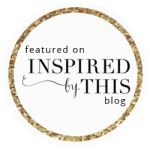 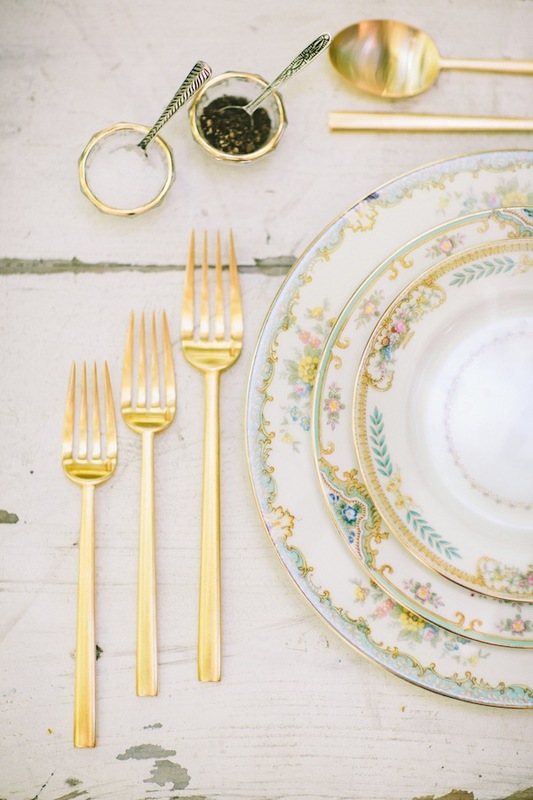 Its easy to stay inspired when working with such talented vendors and wonderful clients! 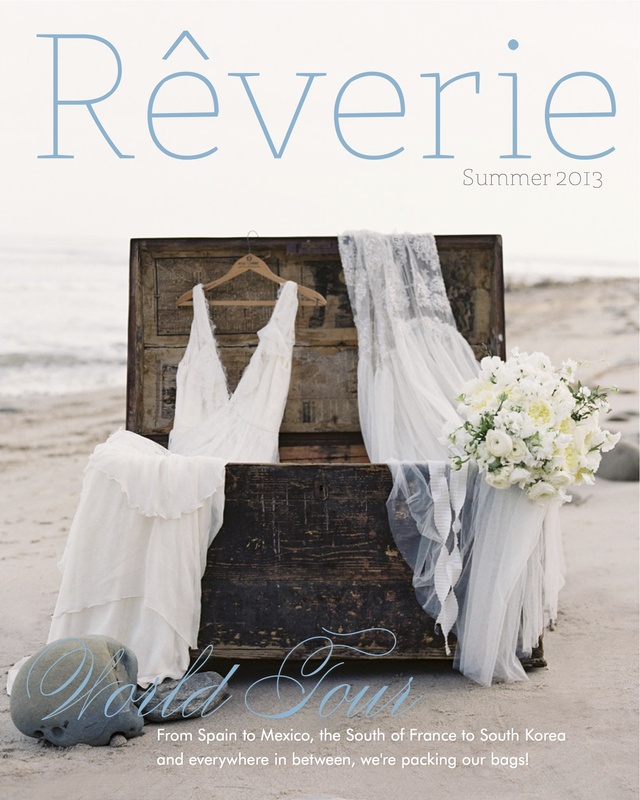 We are honored to be featured in Reverie Magazine’s Summer 2013 issue. 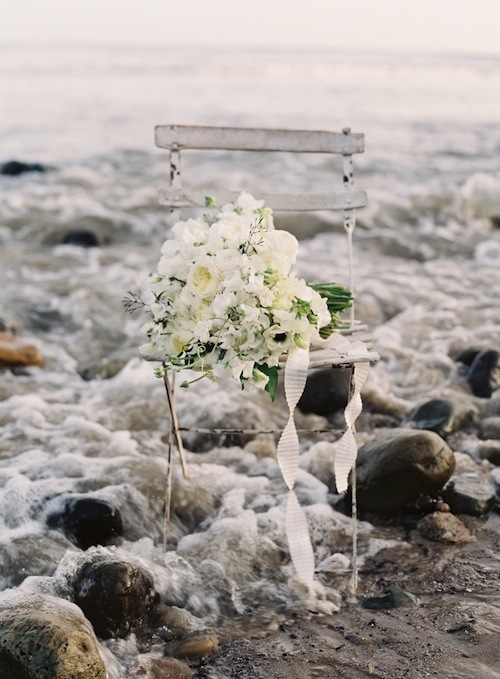 Joy Proctor, wedding designer and stylist of Joy de Vivre, incorporated so many of our favorite pieces in this inspiring seaside shoot with Jose Villa. 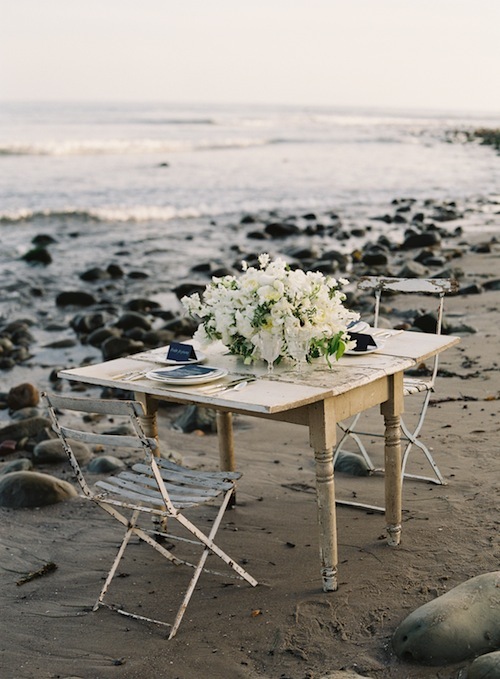 The coastline alone is breathtaking. 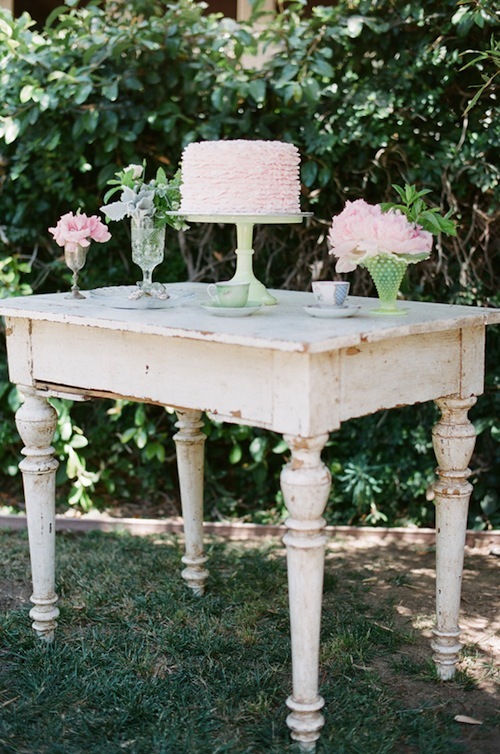 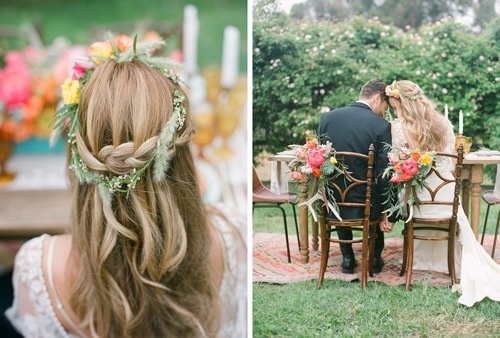 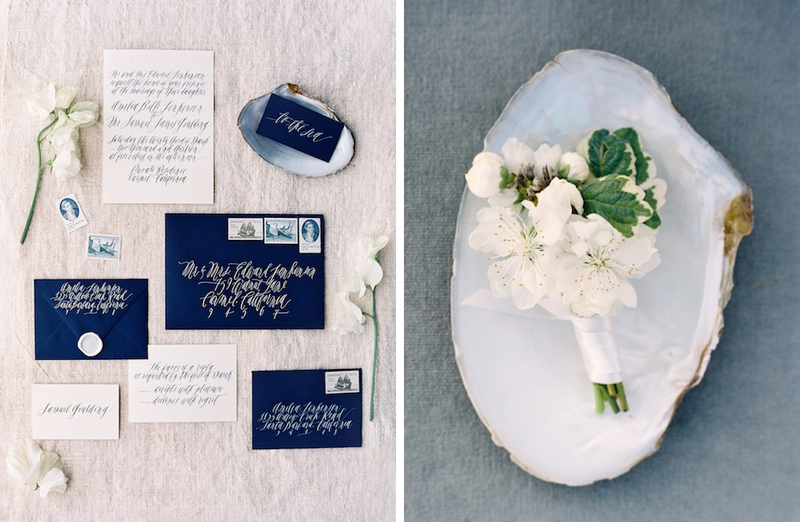 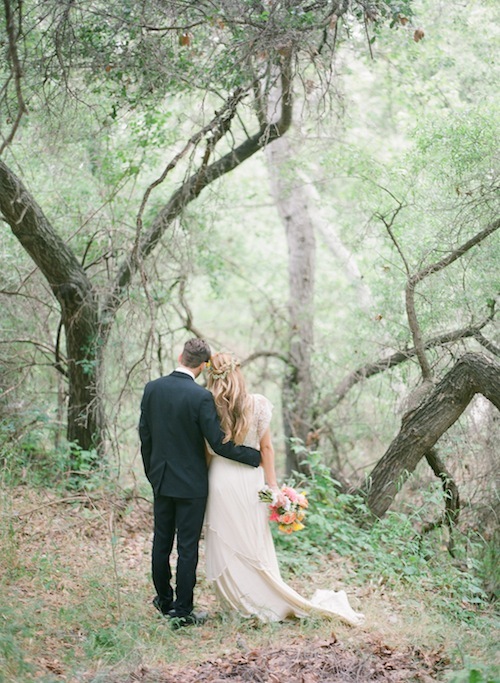 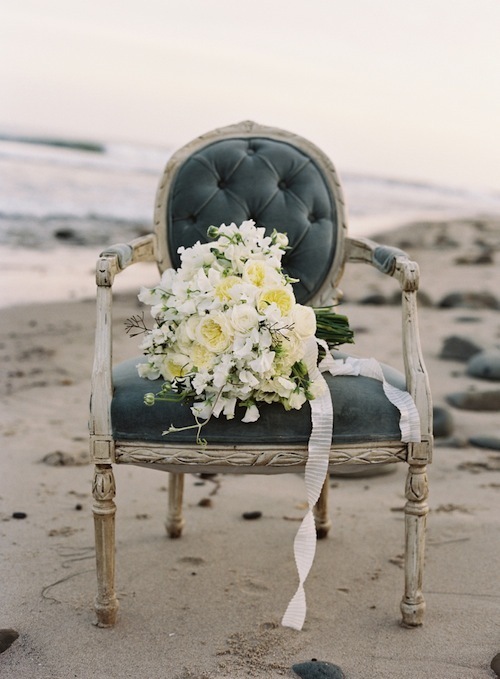 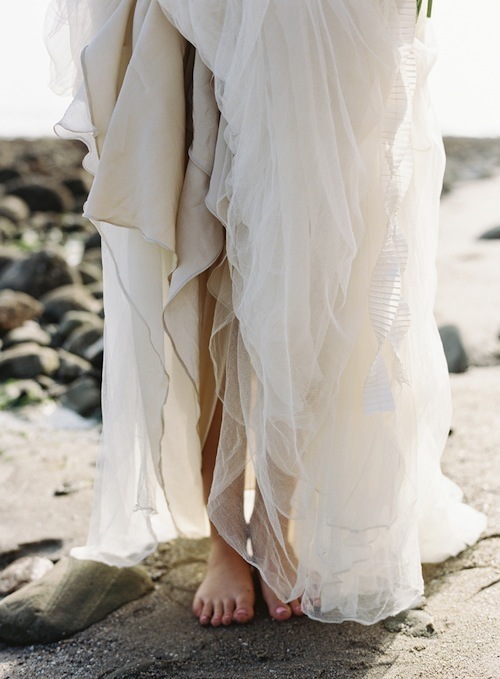 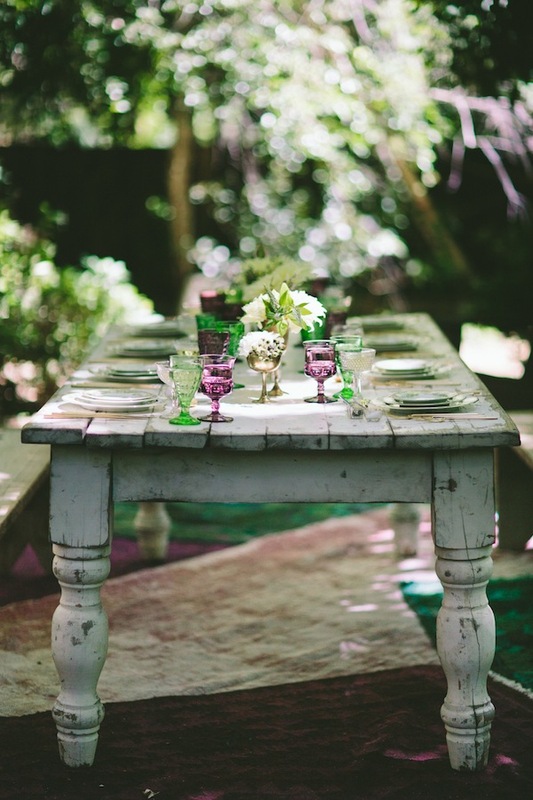 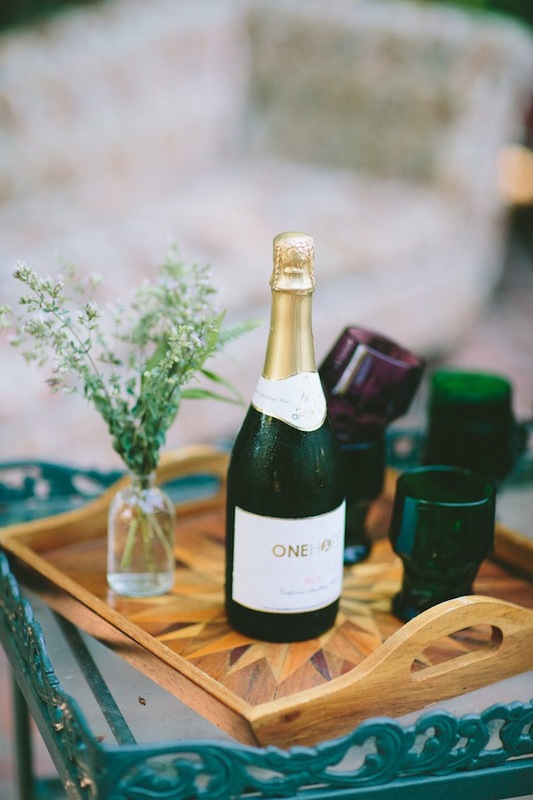 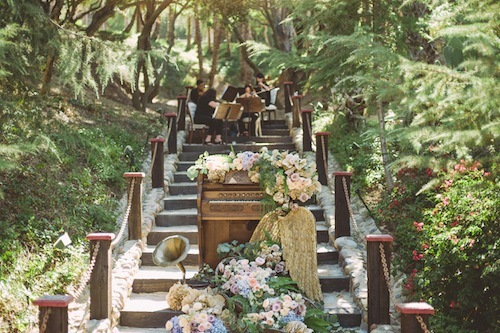 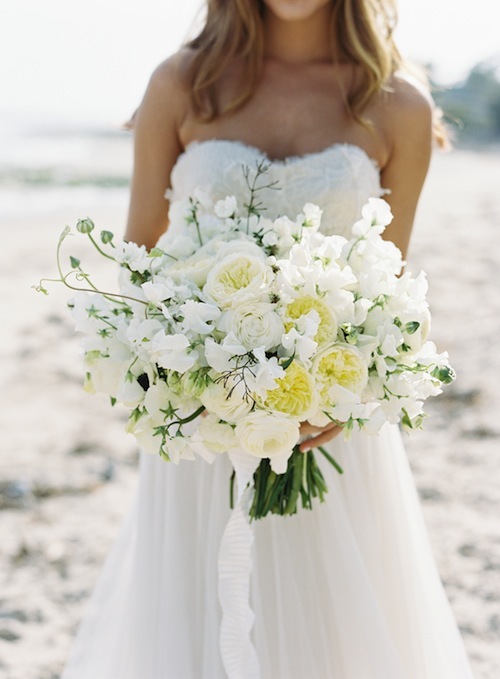 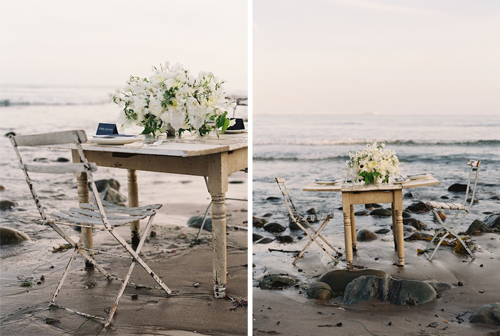 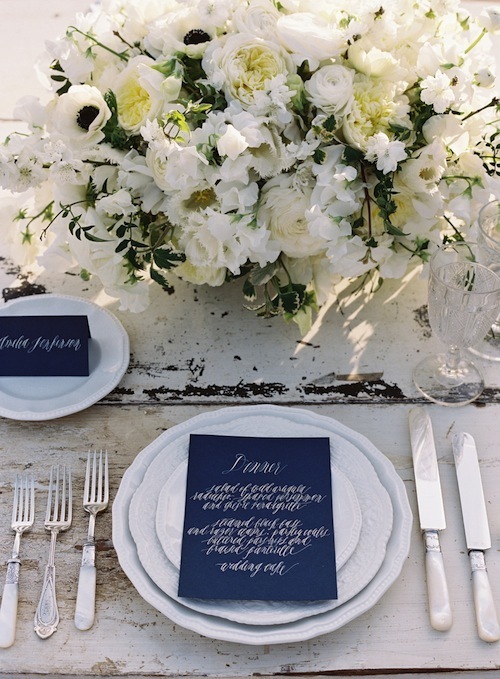 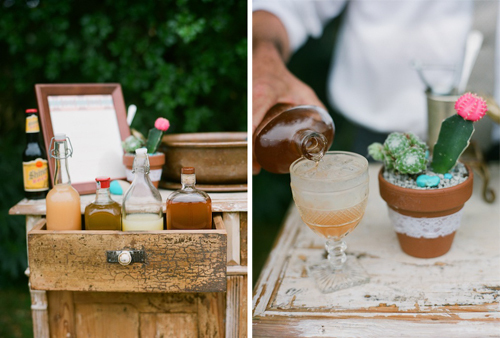 This fresh take on a beach wedding, leaves us wanting more! 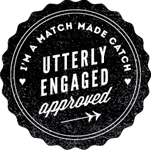 We hope you’ll be as captivated as we are. 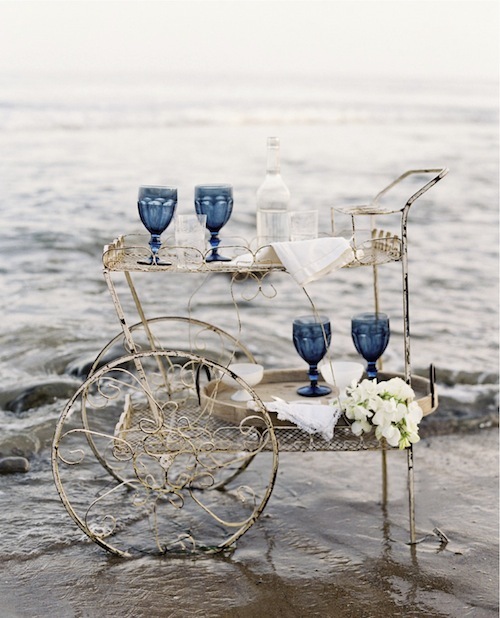 This incredible shoot included the following Found pieces: the Cosette White Bistro Chair, Kartsman White Table, Sampson Ottoman, Perkins Trunk, Alexander Dropleaf Table, West Seafoam Chair, and Tiffany Tea Cart. 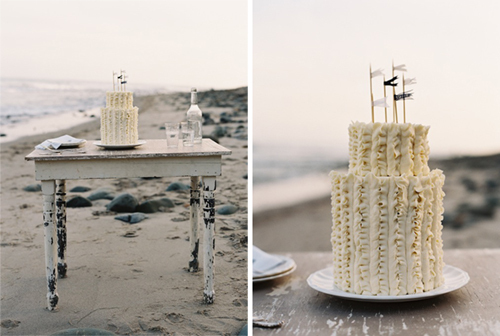 This is one of our all-time favorite shoots. 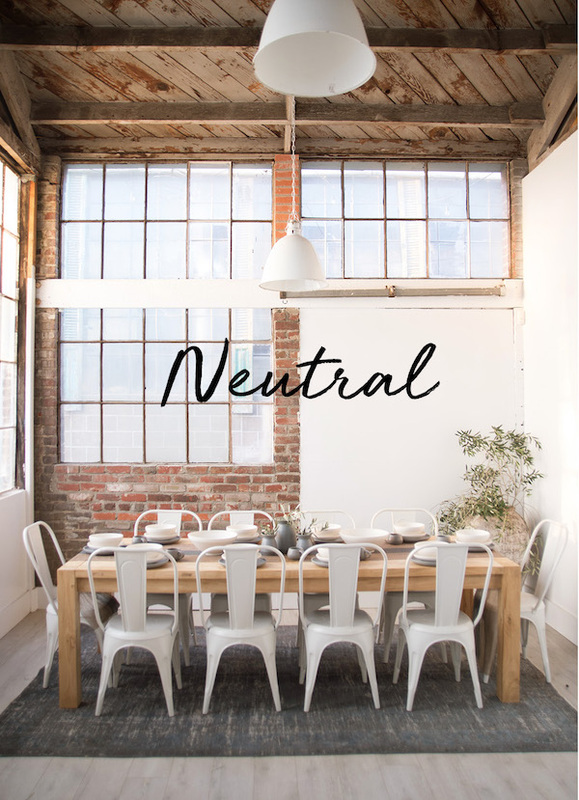 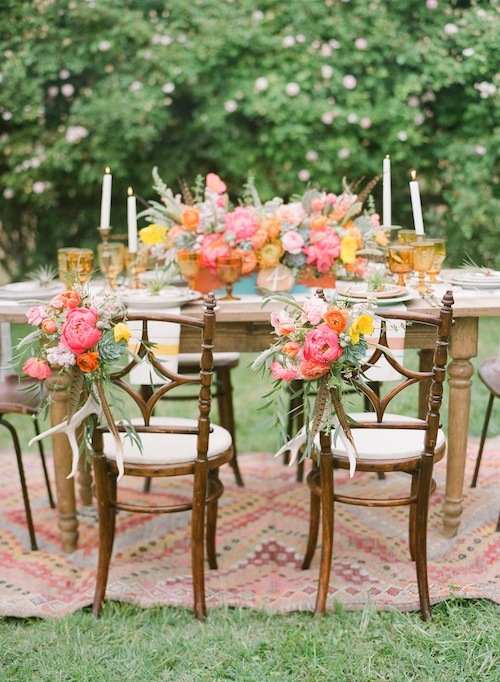 It has a Bohemian vibe in a casual environment that is just so intimate. 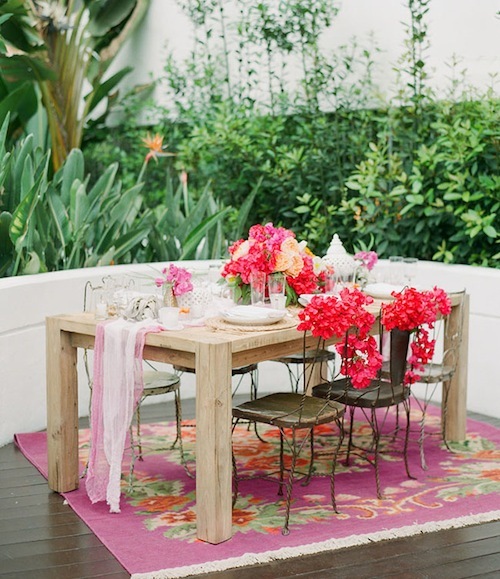 Bright florals pop against the beautiful scenic backdrop. 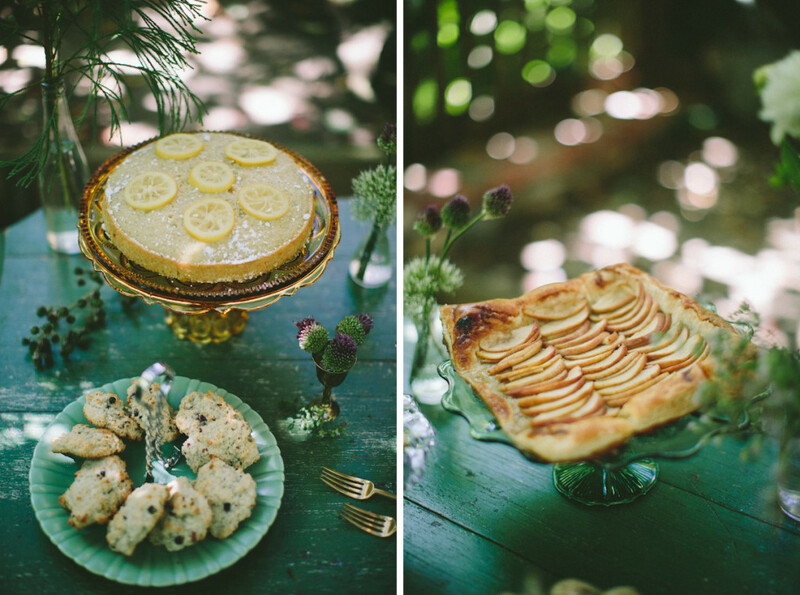 Collaborating with Bash Please is always a treat. 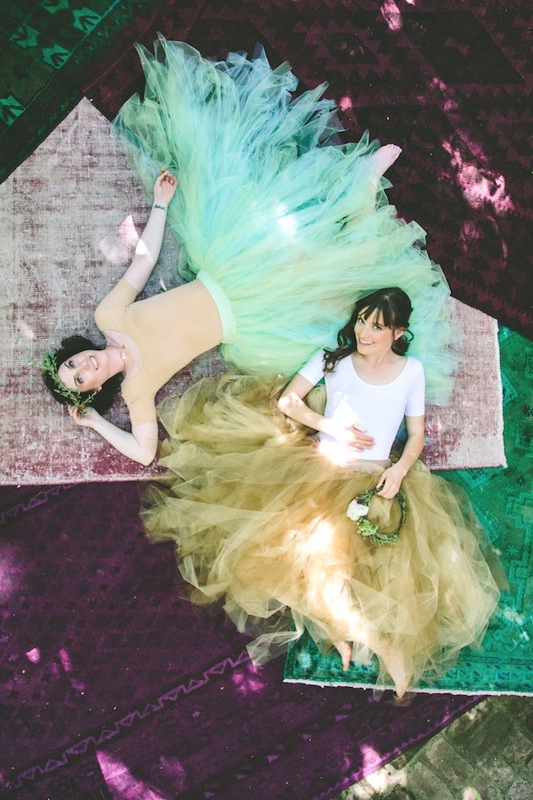 This shoot was no exception. 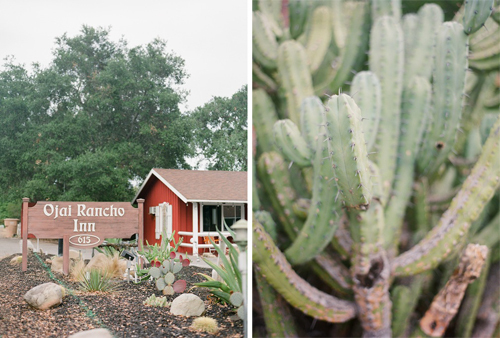 And who doesn’t love Ojai? 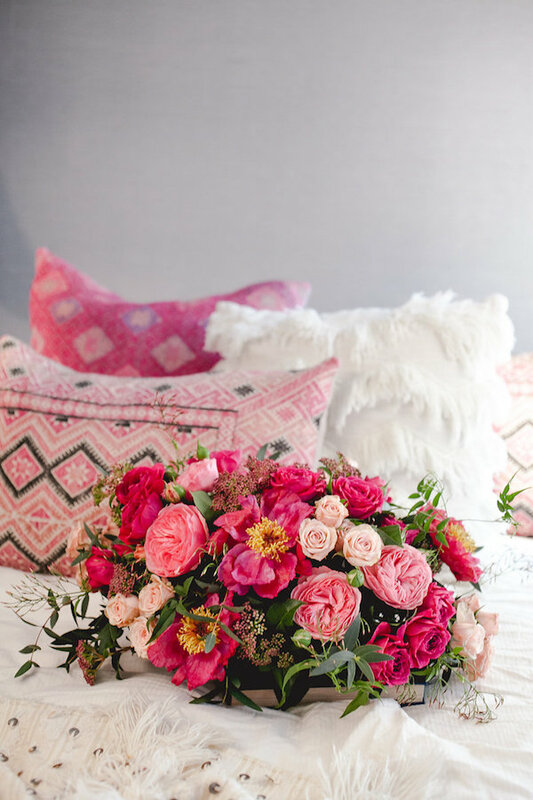 See more of this fabulous shoot on Style Me Pretty. 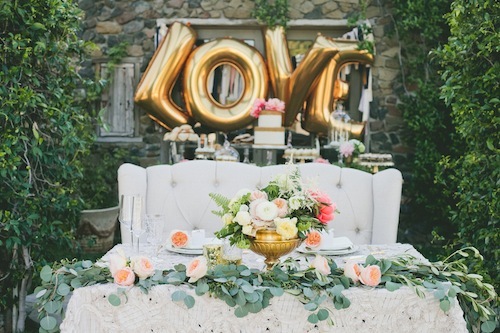 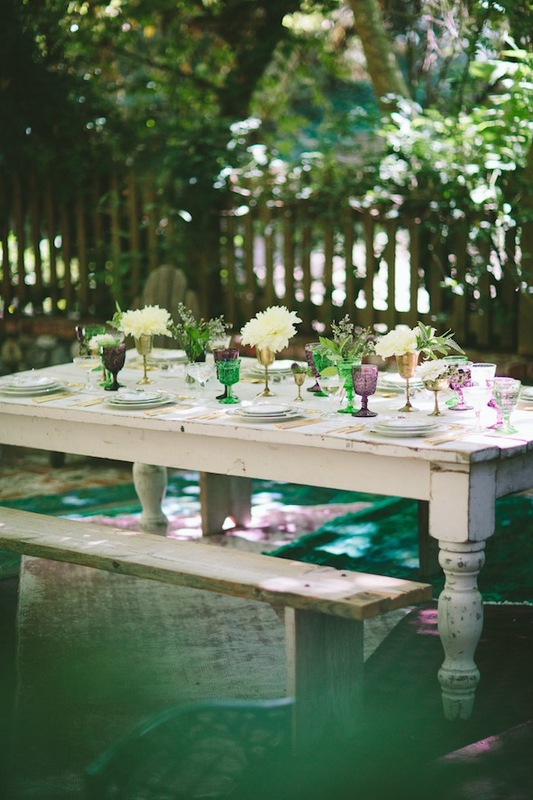 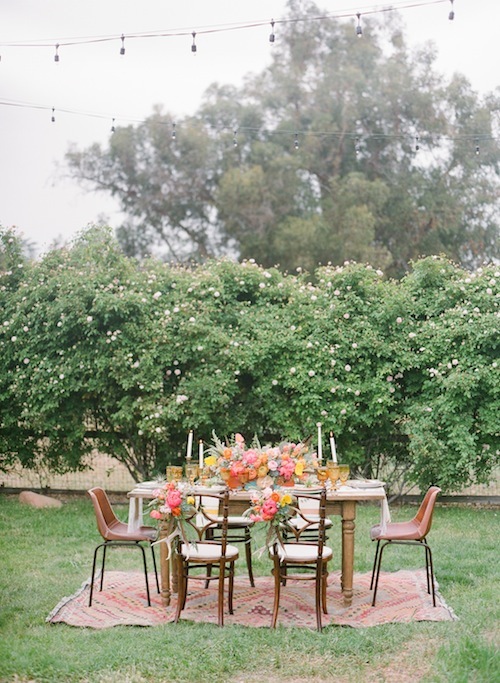 The Found pieces incorporated in the Ojai Wedding shoot were Hobbes Wooden Chair, Parsons Upholstered Chair, Saunders Upholstered Chair, Cerutti Small Spool, Watkins Cabinet, Roland Console Table, and Camelot Wooden Table.